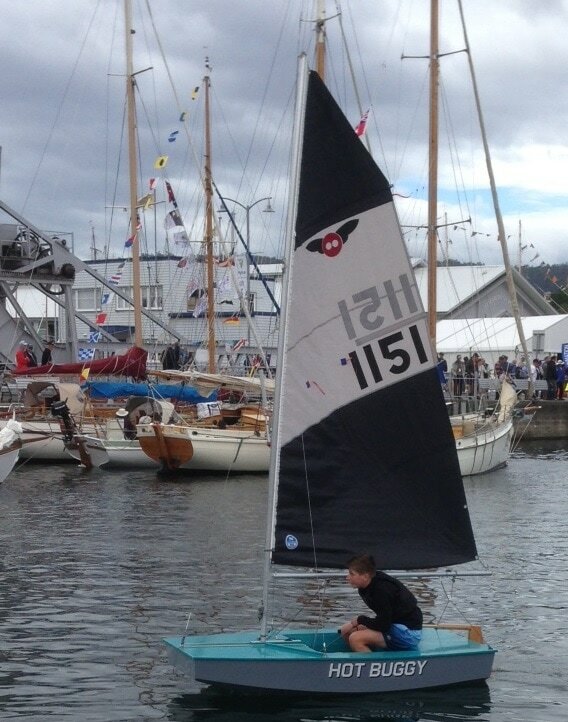 Tax deductible donations for building Firebugs and teaching sailing. ​The Australian Sports Foundation has approved the deductibility of donations to a joint programme between the class and Concord & Ryde Sailing Club to promote sailing and Firebug building. ​A path to high performance participation in an Olympic sport for the most talented. ​Active participation in strong inter-generational communities for the majority. Practical skills valued in the employment market - managing and completing projects, precision work in wood, quality painting and active communication. 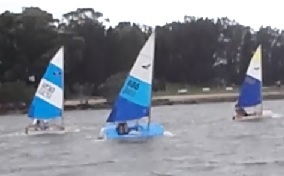 LINDISFARNE SC challenged CONCORD RYDE SC to an interclub event. This was sailed in LSC's boats on 16/17 April 2016. We had 16 Bugs on the water making this the largest Firebug event in Australia. The event included the inaugural meeting of a Firebug Dinghies Australia which will be registered in New South Wales to enable the class to engage with Yachting Australia. Ross Venner of Concord Ryde Sailing Club was elected the inaugural President and Des Clark of Lindisfarne SC the first Vice President. Classes with an active class association are included on YA's (Fox Sports Pulse) website, this contributes to feeding new participants to clubs and classes. Many clubs are unwelcoming of classes which are not recognised by YA. Overcoming these problems will therefore increase interest in Firebugs and this will increase the marketability of our boats. The Firebug is easy to build. Only basic tools are required, but power tools certainly make the job quicker. Bugs have been built in schools, mens sheds, garages, flats and on tropical islands. 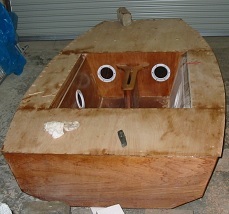 It will give you a great boat for less money and you will know how to maintain or repair your craft. You will gain confidence for bigger projects in the future. It will demonstrate skills that are respected everywhere - Carpenters wield saws - so do surgeons! She is a great trainer for young and old. For her size she carries a big sail area - but like bigger craft, the sail can be reefed when required. The big sail and strong structure allows two adults to sail a Firebug making teaching far more effective than when novices are left to sail alone. Capsize practice is essential for dinghy sailors and the Firebug recovers from a capsize dry - ready to continue the lesson or the race. And as for performance, what other 8 footer can be demonstrated to be a performance planing craft for ADULTS? Most sailors will sometimes want to pit their skills against their peers. 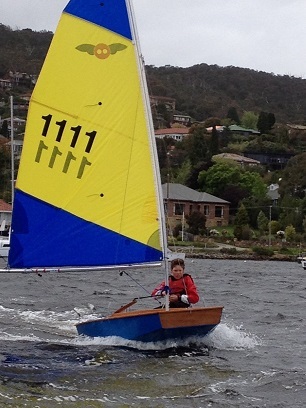 The Bug is a great racing boat - Easy to sail but challenging for even an expert to sail impeccably. The sailors of these three Bugs have nearly 100 years experience between them! Our mixed fleets where adults and juniors compete on equal terms are the best place to learn the web of skills and knowledge that makes a great sailor.